Absolutely Gorgeous & Meticulous. 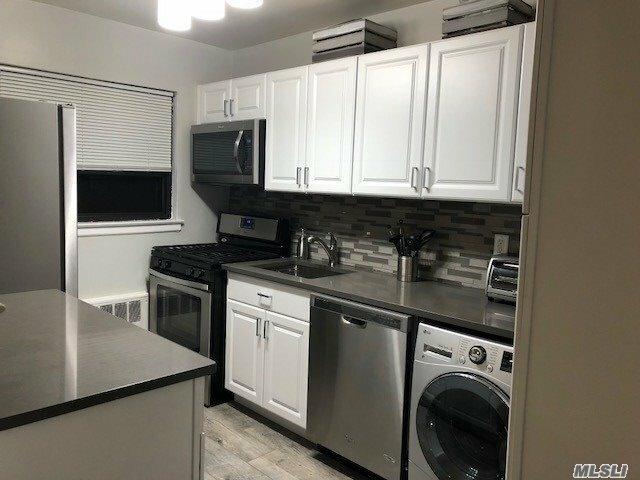 Completely Remodeled -Inc New Quartz Counters, Shaker Cabinets, Ss Appliances, Washer/Dryer Combo, New Bathroom, Updated Electric, New Windows, Pocket Doors, Freshly Painted. Coveted Quiet 2nd Floor Unit Boasts Private Entrance & Oh-The Attic, With New Pull Down Steps, So Much Storage. Maintenance With Basic Star $801. Nestled In A Quaint Courtyard Close To Transportation/Shopping/Schools. Comes With 2 Parking Stickers. A Must See.